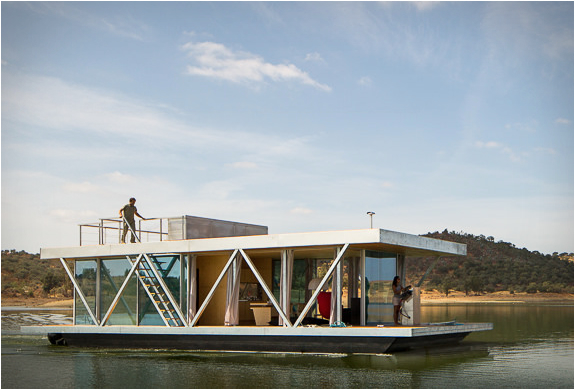 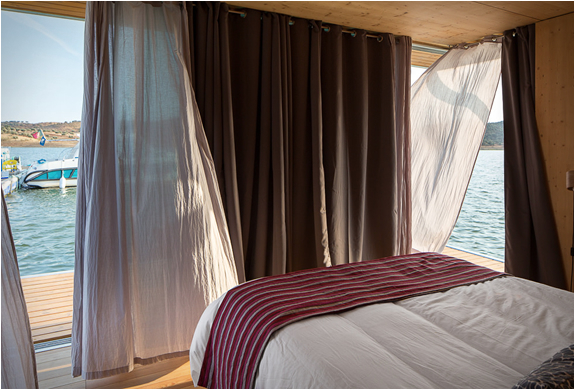 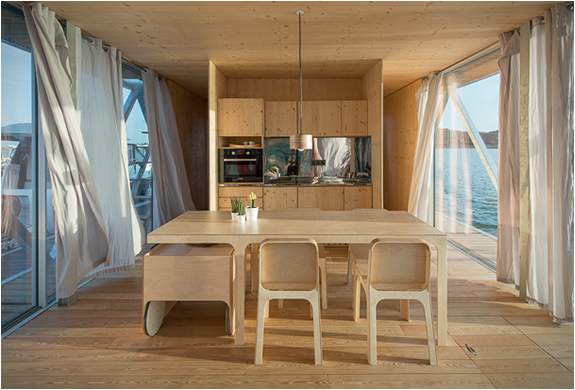 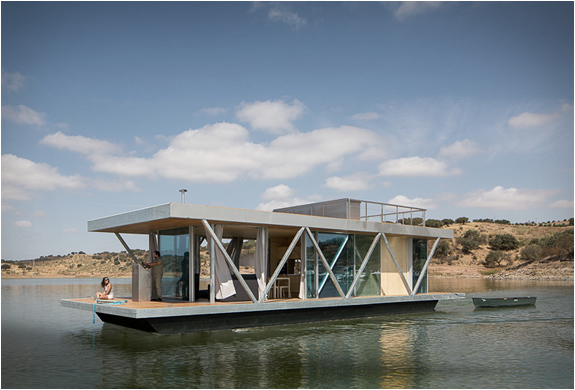 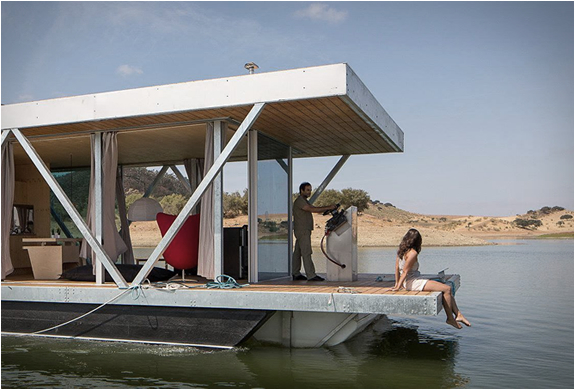 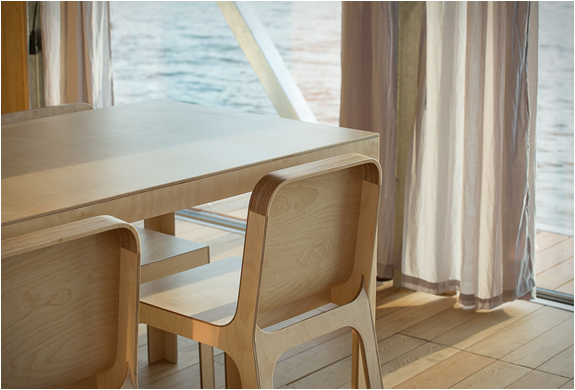 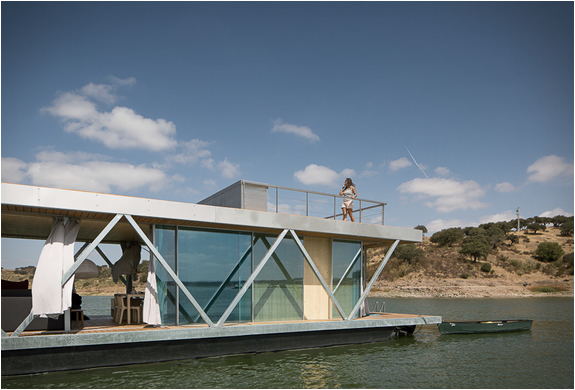 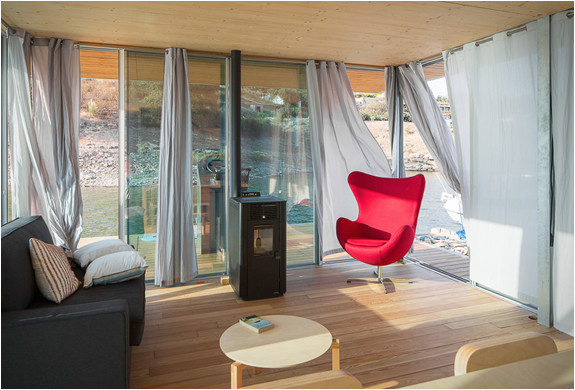 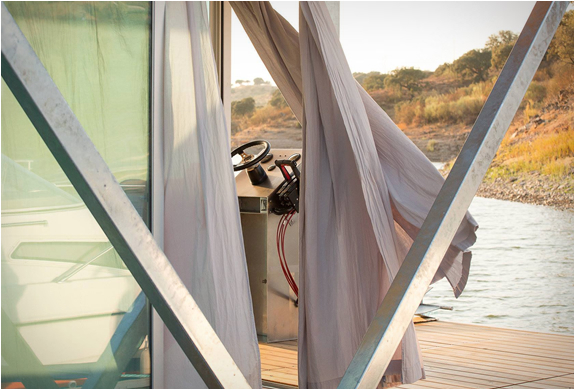 A company in Portugal called "Friday”, have presented the Floatwing, a prefabricated floating houseboat that can be made to order and delivered almost anywhere in the world. 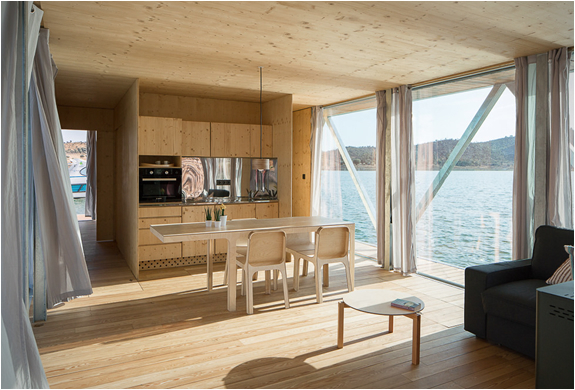 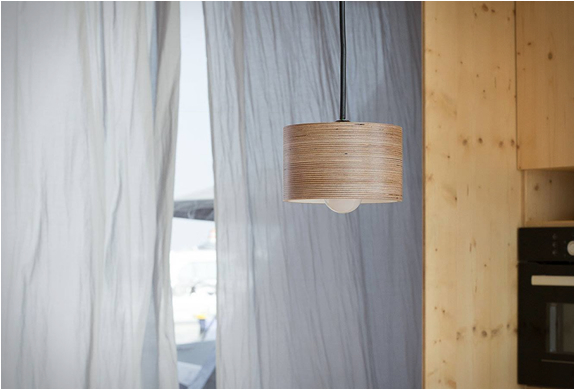 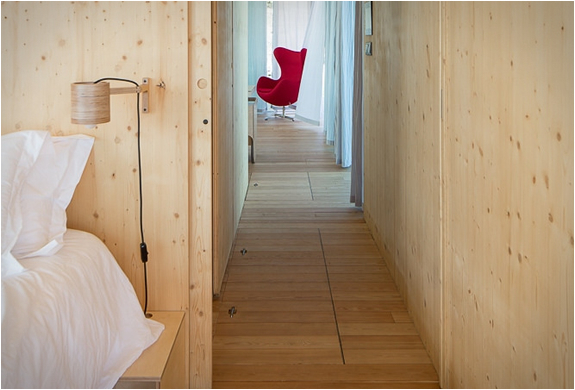 The house has low impact on the environment, it uses materials and technologies that reduce its carbon footprint and lower its energy needs, in fact, when charged, the house is self-sufficient for at least seven days. 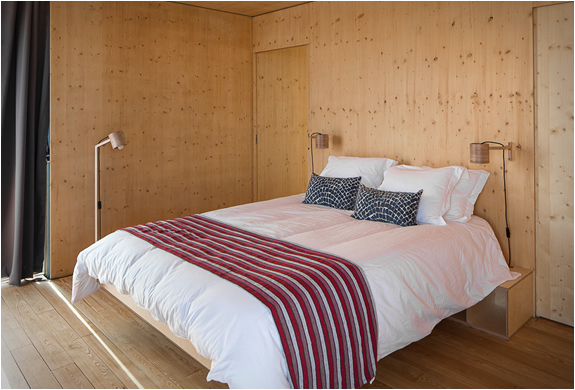 It features a fully equipped kitchen, AC, wine cellar, a barbecue on the upper terrace, and a pellet stove to keep you warm on cold days. 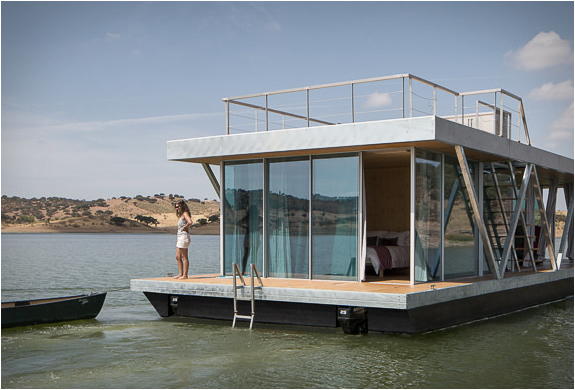 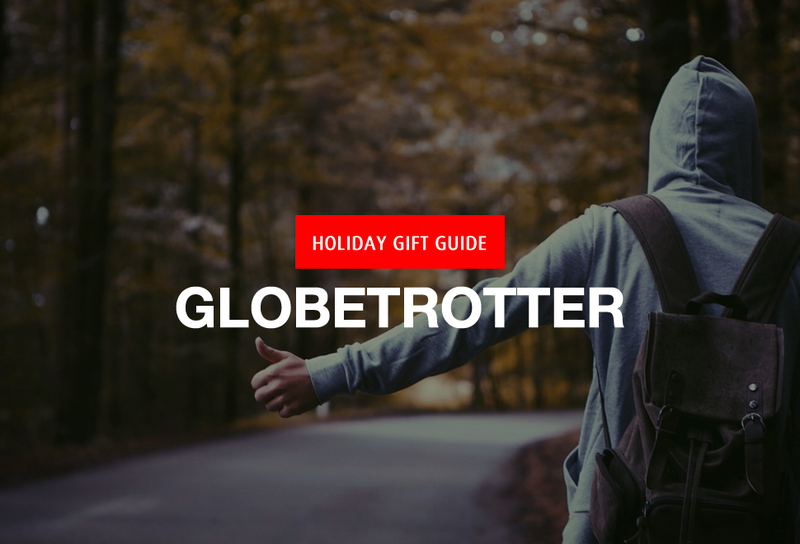 It is solar powered by two small outboard motors, letting you move it around easily, and wake up in a different place every day. 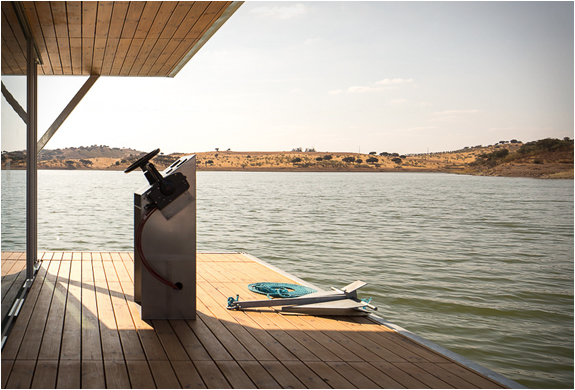 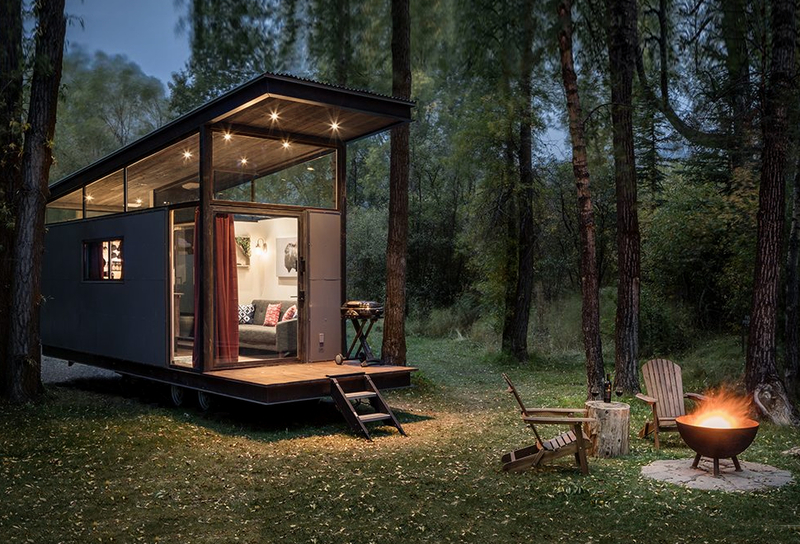 With a fixed width of 20 feet and lengths ranging from 30 to 60 feet, the possibilities are almost endless, choose a romantic gateway for two or a mobile house in the middle of a lake for the entire family or a group of friends.